If your place in this world is a haughty one, watch your head piece because Matt Maddox and Sicknature are coming for that melon. 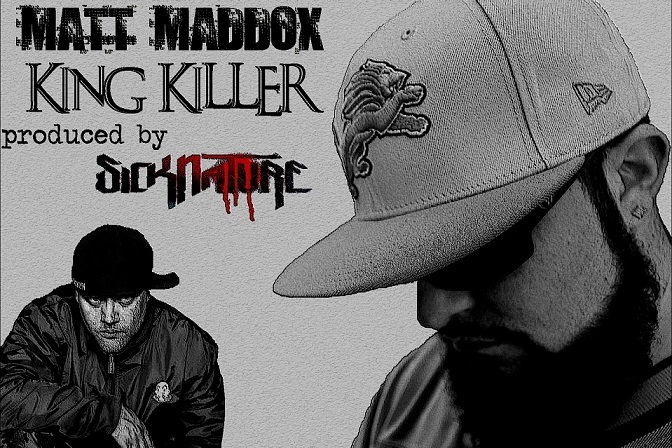 King Killer is a high paced killing spree that can soon be found on Matt Maddox’s new album, Righteous Fury which drops on February 25th. Matt Maddox is from a different generation of emcee and he’s tired of the climate in today’s music industry and not afraid to mince words about it. Maddox has a new album dropping on February 25th entitled, Righteous Fury.